The less you rest, the more you burn. 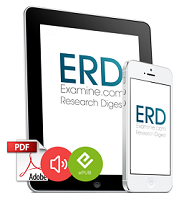 If you're looking for the latest exercise science news, look no further! In today's installment of the short news you will learn about the effects of different rest intervals on the acute metabolic effects of "battling the rope", the effects of 5-week resistance training in hypoxia on the hormonal response to exercise and muscle strength and exercise metabolism. Sounds great? Well, in that case let's get to the study designs and results without further ado. When Rodents Squat, We Can Learn A Lot! Farmer's Walk or Squat? Is Strong- men T. For You? The Effects of Rest Interval Length on Acute Battling Rope Exercise Metabolism (Ratamess. 2015) - From a 2014 SuppVersity article you already know that battling the rope can get you ripped and jacked. A detailed analysis of the metabolic response to the "battle with the rope" was yet never conducted. With their latest study Nicholas A. Ratamess et al. are filling the gap. The purpose of the present study was to quantify and compare the acute metabolic responses to battling rope exercise utilizing two different rest intervals. 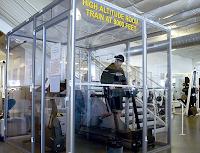 Twelve men and ten women (age =20.8 ± 1.3 yrs) performed a control protocol and two battling rope exercise protocols on separate days (48 to 72 hours) in random order while connected to a metabolic system. Figure 1: Aerobic, anaerobic and post-exercise energy expenditure (kj/min) in 22 healthy, regularly exercising college-aged men (N = 12) and women (N = 10) using 1- and 2-minute rest intervals (Ratamess. 2015). The battling rope protocol consisted of 8 sets of 30-sec intervals (15 sec of single-arm waves and 15 sec of double arm waves) utilizing either a 1-min (1RI) or 2-min (2RI) rest interval length. A metronome was used to standardize repetition number/frequency for each exercise, i.e. 15 waves for each arm for single-arm waves and 15 repetitions of double-arm waves. Mean oxygen consumption (VO2) values for the entire protocol were significantly higher during the 1RI than 2RI protocol and values in men were 11.1% (1RI) and 13.5% (2RI) higher than women, respectively, and equated to 52.8 ± 5.5% (men) and 50.0 ± 11.2% (women) of VO2 max during 1RI and 40.5 ± 4.5% (men) and 37.7 ± 11.0% (women) of VO2 max during 2RI. Energy expenditure values were significantly higher during the 1RI than the 2RI protocol in men (11.93 ± 1.4 versus 8.78 ± 1.4 kcals/min) and women (7.69 ± 1.3 versus 5.04 ± 1.7 kcals/min) with values in men statistically higher than women. Blood lactate, mean protocol minute ventilation, and heart rate were significantly higher during the 1RI protocol than the 2RI protocol and these data were significantly higher in men compared to women. If you take a look at the energy expenditure bars in Figure 1 it is yet obvious that the extra-effort is well worth it for anyone trying to shed body fat - plus: based on the significant increase in heart rate you can expect to see more pronounced increases in fitness with the more intense 1-minute-rest protocol. Enhancing Short-Term Recovery After High Intensity Anaerobic Exercise (Al-Nawaiseh. 2015) - You probably know a few things that are supposed to help you recover, right? Vitamin C, vitamin E, NSAIDs, protein, cold water immersion, those are "only" five of the things athletes do because they believe that they'd give them the recovery edge. Anti-Oxidants & Resistance Training: In the Elderly We See Minimal Benefits. 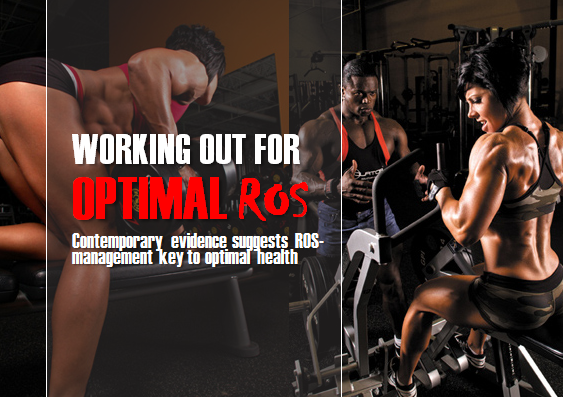 In the Young and Fit Potential Detriments ➯ Could ROS Management, Not Eradication Be the Key? Find out! Whether they work or not, however, is questionable - if you use each of them in isolation and, even more so, if you use them all at once... sounds like an overkill? Well that's exactly what AL-Nawaiseh et al. did in their latest study, they examined the effects of antioxidant vitamins (C+E), ibuprofen, cold water submersion, and whey protein administered simultaneously on short-term recovery from an AM + PM HIT protocol consisting of two sessions of two Wingate tests (3*30s Wingate tests) with 3 min of active recovery in between (that's two sessions in the AM and two sessions in the PM, separated by only 30 minutes). "In the treatment trial, participants were provided with two oral doses of 1000 mg of vitamin C (ascorbic acid with citrus bioflavonoids, General Nutrition Corp, PA, USA) and 400 IU of Vitamin E soft gel capsules (d-alpha tocopherol, General Nutrition Corp, PA, USA). The first dose was taken with dinner the night before the exercise protocol, and the second dose was taken on the morning of the exercise test. The morning doses were consumed at least 1 hour before the blood sample was taken. Ibuprofen doses (400 mg; two ADVIL liquid gels, 200 mg capsules, Wyeth Consumer Healthcare, Madison, NJ, USA) were given to participants 30 min before each exercise session. The protein supplement, 23 g of whey protein (10.6 g EAA, 7.3 g of conditionally essential amino acids CEAA, and 5.6 g of NEAA ON® Sunrise, FL, USA), was mixed with 200 ml of skimmed milk to form a protein shake. The protein shake was given to participants within 3 min of finishing each exercise session in the treatment trial. Three to five minutes after the end of each exercise session, participants submerged their lower body in cold (10-12.5 °C) water for 10 min" (Al-Nawaiseh. 2015). Thusly fortified, the subjects didn't just feel less fatigued before the PM trials, they also performed at significantly higher mean intensities and reduced pain. Figure 2: Mean power and perceived pain rating during the two AM and PM Wingate protocols with and without the use of the five short-term recovery boosters (Al-Nawaiseh. 2015). If peak performance is all that counts (e.g. during a meet or race), the recovery quintet consisting of vitamin C+E, ibuprofen, whey and cold water immersion may thus in fact give you a potentially decisive advantage. In view of the possibility that the vitamin + NSAID combination may also blunt the hormetic and thus the adaptive response to exercise it is questionable, whether using the protocol on a regular basis would be a smart thing. 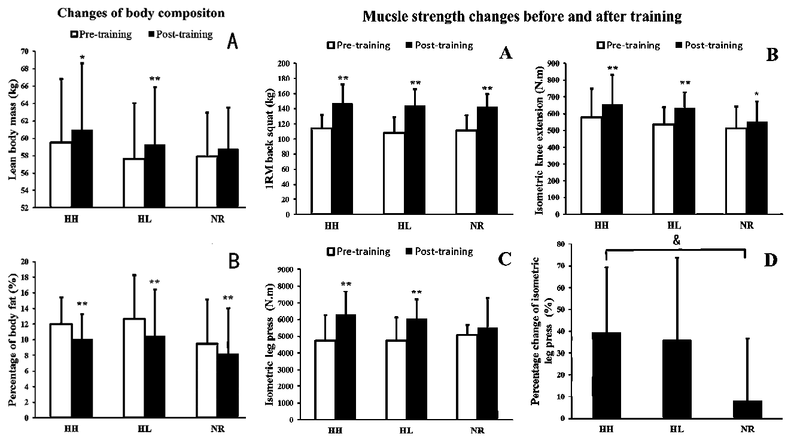 The effects of 5-week resistance training in hypoxia on hormones and muscle strength (Yan. 2015) - You will remember from previous articles about hypoxia and training in low oxygen environments that you can use the lack of O2 to your endurance advantage. 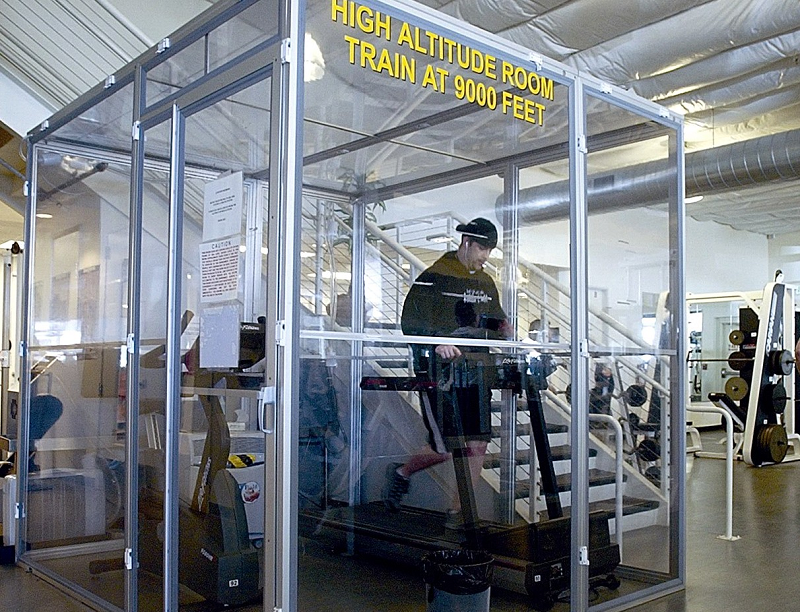 Originally, high altitude / low oxygen training were recommend mostly to endurance athletes. More recently, however, the evidence that training in hypoxia can benefit strength athletes, as well, is accumulating. Evidence like the results of a recent study from China in which the scientists tested the effects of different levels of systemic hypoxia on hormonal responses, strength and body composition changes during a 5-week resistance training. Twenty-five male subjects were randomly assigned into 3 experimental groups that performed 10 sessions (2 sessions/week) of barbell back squat (10 reps, 5 sets, 70% 1RM) under normoxia (NR, FiO2=21%) and hypoxia (HL, FiO2=16%; HH, FiO2=12.6%). Serum growth hormone (GH), testosterone (T) and cortisol (C) concentrations were measured before (Pre) and at 0 (T-0), 15 (T-15), 30 (T-30) min after exercise in the first and last training sessions. 1RM, isometric knee extension (KE), isometric leg press (LP) and body composition were evaluated before and after the protocol. Figure 3: Changes in body composition and strength - that's what really counts (Yan. 2015). In the first session, GH of really low (12.6% | HH) oxygen group (p<0.01) and low (16% | HL) oxygen group (p<0.01) was higher than NR at T-0. In the last session, however, only GH of HH was higher than NR at T-0 (p<0.05); meanwhile, T/C ratio of HH was higher than NR at Pre (p<0.01), T-0 (p<0.01) and T-15 (p<0.05). 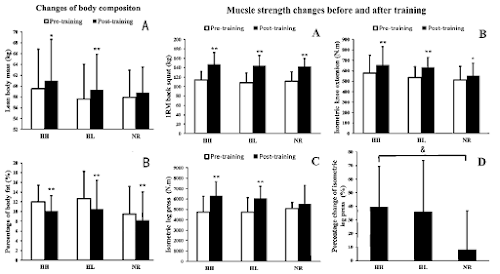 Following the training protocol, HH showed greater (p<0.05) improvement of isometric LP strength compared with NR; lean body mass (LBM) was increased in hypoxia groups only. Moderate intensity resistance training performed in severe hypoxia (FiO2=12.6%) induced greater GH responses and isometric strength gains in leg press than that in normoxia. What is more important than the GH and testosterone / cortisol increases are the beneficial effects on lean mass, strength and body fat which occurred in both the low and the very low oxygen condition - the additional hormonal bonus in the HH (12.6% O2) trial is nice, but over the relatively short study period it did not pay off. What do you have to remember? (1) Short rest periods don't just make your workouts more exhausting, they will also increase the acute and post-exercise energy expenditure during battling the rope and other exercises; (2) for acute recovery benefits, there's no question that using vitamin C, E, NSAIDs, cold water immersion and whey protein has beneficial effects; in the long run, however, the vitamins and NSAIDs may hinder the training induced adaptation to exercise - maybe; (3) if you have the chance to train in a low oxygen environment that's something you can use irrespective of whether you want to become stronger, faster or more enduring - unlike simple masks that make it harder to breath real low oxygen environments must be considered proven training boosters | Comment on FB! Al-Nawaiseh, Ali M., Robert C. Pritchett, and Philip A. Bishop. "Enhancing Short-Term Recovery After High Intensity Anaerobic Exercise." The Journal of Strength & Conditioning Research (2015). Ratamess, Nicholas A., et al. "The Effects of Rest Interval Length on Acute Battling Rope Exercise Metabolism." Journal of strength and conditioning research/National Strength & Conditioning Association (2015). Yan, Bing, et al. "The effects of 5-week resistance training in hypoxia on hormones and muscle strength." The Journal of Strength & Conditioning Research (2015).